Underinsured motorist benefits are one of the most important types of coverage any Floridian can purchase. That’s because it will ensure adequate coverage in the event you are injured in an accident with a driver who lacks enough insurance to fully cover your damages. Most UIM policies, however, will require that you first exhaust the coverage limits of the underinsured motorist before filing a claim for UIM benefits through your own insurer. This isn’t unusual. However, where one auto insurer in the case of State Farm Mut. Auto. Ins. Co. v. Jakubowicz ran into trouble was in setting further limits and conditions that rendered its policy ambiguous. This matter was recently before the Indiana Supreme Court, which ruled that because the policy was ambiguous, it would be construed in favor of the insured. Determining whether a policy is ambiguous is a matter of law, which means it will be decided by a judge. In Florida, the state high court held once and for all in the 2013 case of Washington National Insurance Corporation v. Ruderman, that any ambiguous insurance contract will be liberally construed in favor of coverage – without regard for whether any extrinsic evidence exists that could possibly clarify that ambiguity. Our Fort Myers car accident lawyers know that while auto insurance companies undoubtedly have the right to limit liability, they have to do so in a way that is clear and unambiguous – or else risk the policy being interpreted strictly in the favor of the insured. In the Jakubowicz case, plaintiff and her two minor sons suffered serious injuries in a collision with an underinsured motorist. 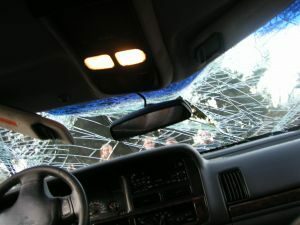 One year after the crash – well within the statute of limitations for the car accident claim – plaintiff filed a personal injury lawsuit against the underinsured driver, alleging negligence and asserting claims for coverage of medical bills and pain and suffering. Her own UIM policy required that any claims for benefits be filed within three years (which coincided with the statute of limitations for personal injury claims in that state). Insurance companies are free to set such limits, even regardless of when the statutory deadline is. But there was also a provision in the policy that required plaintiff to exhaust her claim against the underinsured motorist before filing a claim for UIM benefits from the insurer. Just shy of the three-year deadline, she sent notice to her insurer that she would most likely be filing a claim for UIM benefits. However, it was not until after that three-year mark that she formally filed her claim. She did so in line with the provision that required her to first exhaust the claim against the at-fault, underinsured driver. The insurance company filed a motion for summary judgment, arguing the claim was not timely filed. Trial court disagreed and granted plaintiff’s leave to amend the claim to add her own insurer as a defendant. Insurer appealed to the state supreme court, which affirmed. The court held that because the part of the policy that mandates an insured file a lawsuit within three years is in direct conflict with a requirement in the same policy to pay only if the underinsured motorist’s insurance coverage has been exhausted, the policy is ambiguous. That means it will be construed in favor of the insured and the claim can continue.